This first entry into Short Film Mondays within the New Year needs to quickly address a small change; this feature will now run on the first Monday of each month, instead of each week as it used to. For more details please click here. Anyway, now let’s get onto the short for this month. 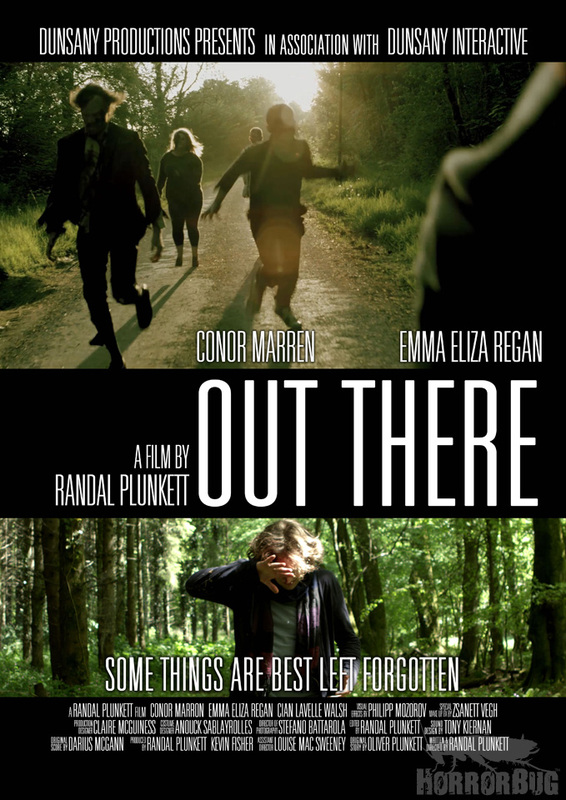 Out There opens with a man lying in a forest, he’s just recovering consciousness and discovers that he has a head wound and that he’s suffering from a form of memory loss. He cannot remember how he got there and is only receiving fragmented flashes back to his past. Anyone who has seen the trailer (below) will know that this is a zombie outbreak film, however rather than rushing straight into that aspect of the short, it takes time to introduce its protagonist and world, allowing itself to build tension multiple times, before it finally confronts us with the zombie threat which we have been awaiting since the beginning. This approach greatly benefits the short; it keeps us guessing at exactly when and from where the danger is coming, and there is a balance created between sustained threat and our protagonist’s amnesia caused mystery solving. This isn’t a guns blazing, blood drenched, zombie apocalypse film – there is absolutely nothing wrong with those, but this film does acquire a certain freshness by deviating from that option. It’s more concerned with the exploration of our protagonist’s past and present, as well as the overarching theme of responsibility, rather than the zombies themselves. There are quite a few elements here that are deserving of strong praise; the actors give some great performances, with Conor Marren having to carry most of the film and doing a great job about it. Emma Eliza Regan also impresses, doing a lot with the short amount of screen time that she is given. A word has to be said for the cinematographer (Stefano Battarola) who provides the film with a great look and tone, as well as for the composer (Darius McGann) who gives the film a seriously effective and unnerving score. A couple of lines of dialogue do feel a little off; I refer to cliché lines such as ‘We have to get out of here!’. On first viewing I was too caught up in the film to notice them, but there are a couple, and it would have been nice to see them worked out of the script. It’s not a large problem by any means, but they do just niggle at me a little. Out There will serve as a prequel to a feature film that is currently in preproduction. I have to be honest; I would like to see that feature. Horror isn’t exactly my area of expertise, but the mixing together of genres here has proved engaging, and the levels of tension created promise a great and unnerving feature length experience. I hope that you all check out the trailer below, and the short when it becomes available. Thanks for reading, type out any thoughts below! Cheers Matthew – it’s certainly worth a watch.